Payment 30% deposit before production and 70% balance payment before delivery. Skiing all year round is not a dream anymore. 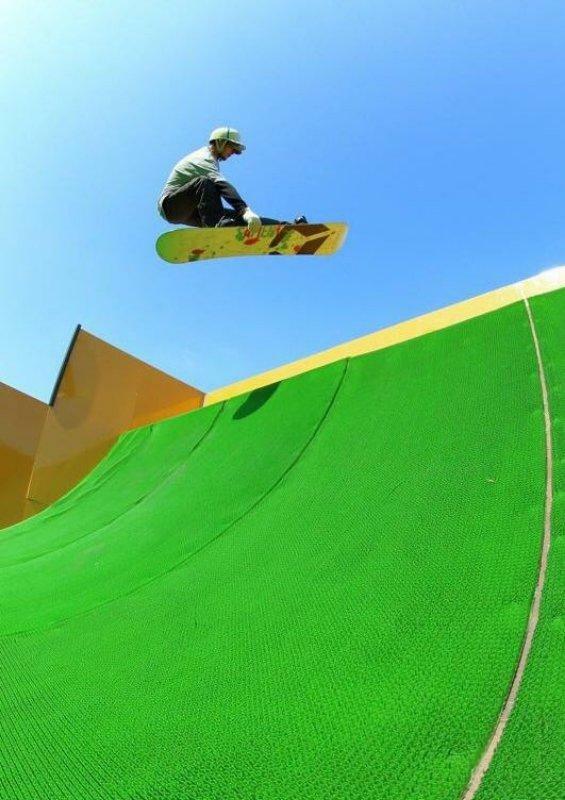 With our artificial ski carpet, that will entertain the ski enthusiasts all year round, extending the time to train and enjoy skiing, as well as being an opportunity to ski and snowboard 365 days a year. The dry ski slope is an innovative surface. Thanks to an extraordinary design work, Grace Grass has created a synthetic surface certified as having the same gliding surface as snow without using water. This allows the skiers/snowboarders to ski the same as in wintertime. 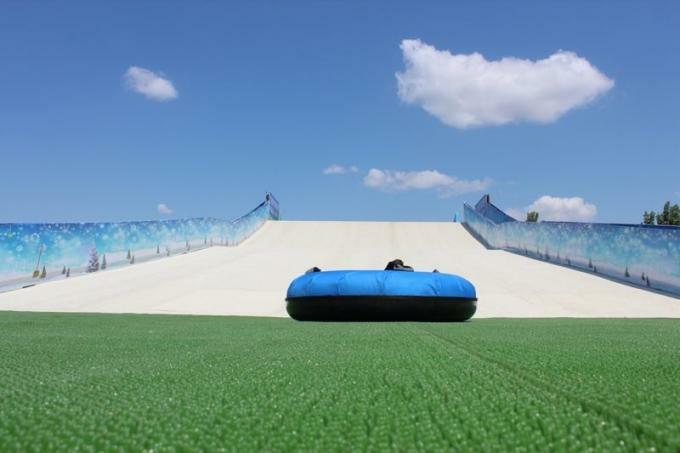 Grace Grass revolutionized the dry ski slope sector with a synthetic mat that perfectly simulates real snow conditions. Novices can easily snow plow, enthusiasts can practice their favorite discipline at any time of the day, and competitive athletes can train exactly like they do on snow. Grace Grass is mainly used for sports artificial grass,like football grass, Tennis court grass, Hockey field, the other is landscape and recreational grass. Selling well in all cities and provinces around China, our products are also exported to clients all over the world, especially USA, Canada, Australia, Europe and etc. Dedicated to strict quality control and thoughtful customer service, our experienced staff members are always available to discuss your requirements and ensure full customer satisfaction. 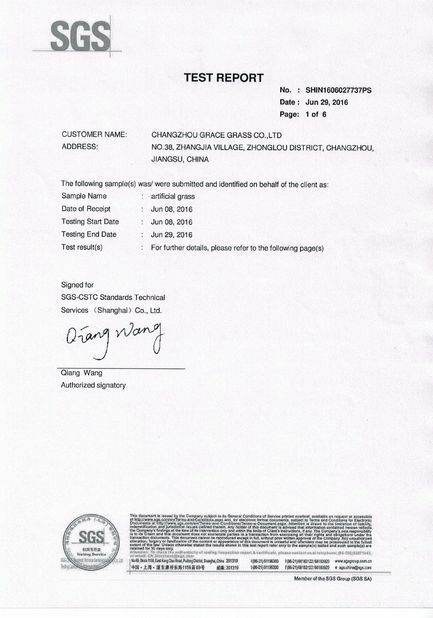 In addition, we have obtained SGS certificates. 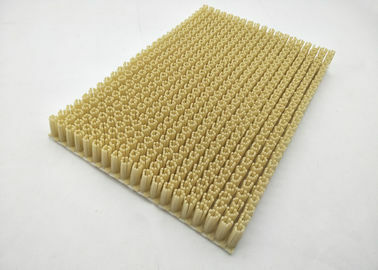 We also welcome OEM and ODM orders. Whether selecting a current product from our catalog or seeking engineering assistance for your application, you can talk to our customer service center about your sourcing requirements. You can get samples by communicating with our sales. Delivery time will be15-25 work days according to order quantity. Our MOQ is 300-500 square meters for this dry ski carpet. 4. What is our normal payments terms? ≤US$5000, full T/T payment in advance. >$5000, 30% T/T deposit before production, 70% balance before shipment. 5. How do I order your products? You can check our website for any items you interested, talk with our sales, then order for it accordingly. 6. What is the material of our products? Our products use material such as: PE, PP, EVA and other modified engineering plastic. All the products are eco-friendly, non-toxic, kids and pets friendly. It's safe. 7. What is the function and features of our product? Our flooring products mainly provide the function like anti-slip, fluid drainage, water proof, floor protection, dirt scraping from footwear, anti-fatigue and it is easy cleaning, durable for high traffic area, also it is elegant & stylish, can increases life of flooring surfaces. 8. Can we do OEM or ODM? Yes, we could provide OEM or ODM. 9. Can we open new mould for customers? Yes, customers should pay the mould cost, and we could made the mould based on customers’ design, or if there is possibility, we could made by our own cost. We welcome customers’ feedback or ideas for new products, and we are also willing to develop new products together. 10. What is our normal packing? 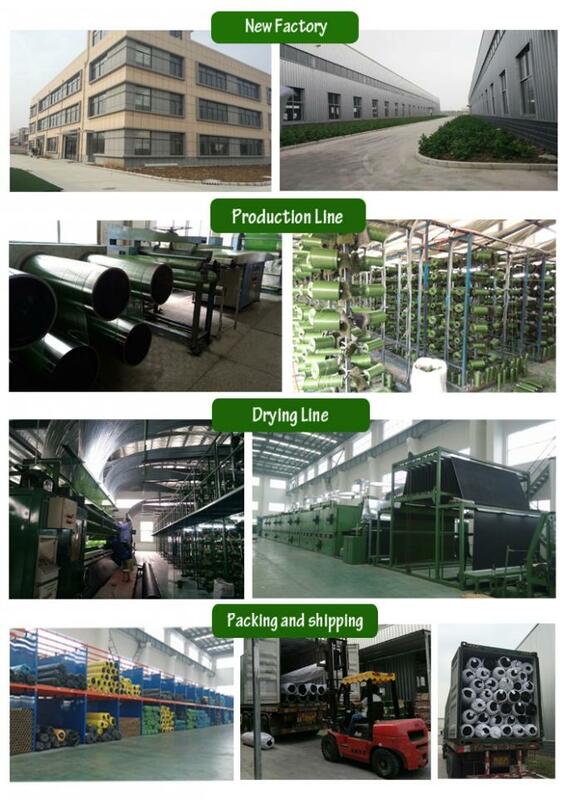 Our normal packing is carton or PP woven bags or PE film with cardboard. 11. Can we provide customized packing? Yes, we could provide customized packing base on certain MOQ quantity, and if the customized packing cost is different from our regular packing, the price would be changed accordingly.